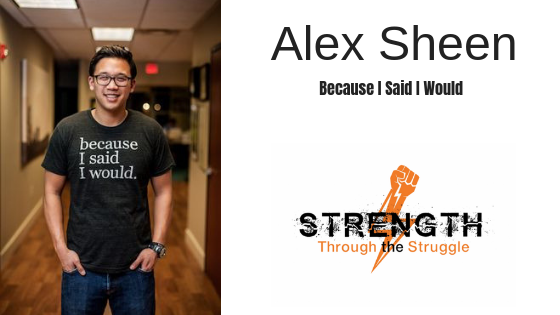 Alex Sheen Does Things "Because I Said I Would"
I found Alex Sheen by watching a Tedx Talk entitled “Because I Said I Would”. I immediately went to his website to get his promise cards about which he discussed in his talk. I was very impressed by what Alex had to say and you will be as well.